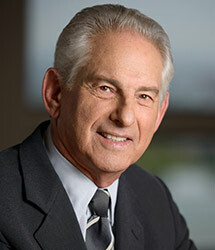 Gary J. Freedman is a partner and member of the Executive Committee at Ervin Cohen & Jessup LLP, the oldest and largest law firm in Beverly Hills, California. Mr. Freedman, as part of the Business and Corporate Practice Group, represents middle market businesses that manufacture, distribute and sell products and services throughout Southern California, the United States and the world. He has extensive experience in a broad range of domestic and international business transactions, including: advising and structuring start-up and seasoned business, mergers, acquisitions, intellectual property licensing arrangements, strategic partnering, venture and equity capital financing, private placements, management buyouts and executive incentive based compensation. Mr. Freedman has served as a member of various Boards of Directors of non-profit institutions and charities including Cal Tech/MIT Enterprise Forum; The Entrepreneurship Institute (Board Chairman and Member of Executive Committee), American Society for Technion (Los Angeles Board of Directors); City of Hope Inner Circle, and The John Thomas Dye School (Board Chairman and Member of Executive Committee). In addition, he has served on the Boards of Directors and committees of both private and publicly held companies in the technology, financial services and manufacturing sectors. Mr. Freedman is a member of Business Law Section of the State Bar of California and the Business & Corporations Law Section of the Los Angeles County Bar Association. He has authored articles and been a guest lecturer on various subjects relating to the business and financing of middle market companies. Mr. Freedman received his Juris Doctorate degree from the University of California Hastings College of the Law in 1967 and a Bachelor of Science degree in Political Science from the University of Illinois in 1964.